Any country, industry and company would experience its rise and fall. 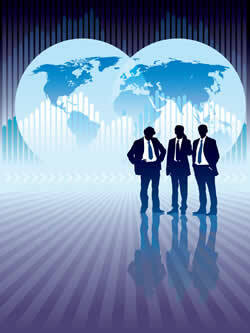 Pureheart identifies the turning points of rise and fall across the globe. The lowest point in weakness is also the starting point of an upward swing. When the tide lowers, we enter; we follow where the water goes and advance. When the tide is high, we exit and move on to look for another point of rise and fall of the next tide. We have established a coordinate system for global investment that comprises the various dimensions of countries, industries and credit cycles. We look for undervalued markets and industries to carry out global asset allocation. As truly distinguished companies are very rare in the investment market, investing in specific countries or regions is unnecessary. As a genuine institutional investor, we will strive to optimize our portfolio. We believe in the art of survival. After the colossal financial crisis, entrepreneurs and senior management would meticulously validate the risks in a company’s operation. Relatively speaking, there are limited systematic risks in a market, but the potential return is much higher, and so is the rate of risk-adjusted return.